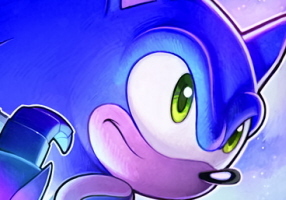 We had the news First @ TSSZ: All the details surrounding Gamespot’s live Sonic Chronicles playtest. If you’d like to see it all for yourself however, we now have the streaming link for you to do so. It’s about 15 minutes, so you’ll get a glimpse of everything the game has to offer in its alpha phase so far–including some combat, and a peek at E-102. For those who don’t want to stick around for the video, here are the full details. Sega Cracking Down on PSO Hacks?